Task: Redefining the experience of the Drives Commissioning Tool and the ABB development process. This team of students was excited to work on a project that placed an emphasis on the user experience rather than technology. They were particularly drawn to this project because it offered the ability to conduct extensive user research from various individuals in a large variety of contexts and that the project offered an interesting case that required extensive improvements. The team’s initial approach to this project was to conduct a broad research enquiry about field engineers, including their motivations and desires as well as the drive commissioning tool itself. The team then completed benchmarking with other competitor’s programs. They conducted this research primarily through secondary research and user interviews. They explored the relationship between The Field and The Factory within the ABB Drives organisation. The polarisation between these departments influenced our direction. In analysing the research they identified the diversity of the users and user needs of the drives commissioning tool and created personas and user journeys to understand these needs. After creating key insights in understanding the users, they established our experience goals. They used these experience goals to develop our two concepts. After learning about the field engineers experiential relationships to their work and the tools that they utilise, the team proposed three main experience goals, three minor supporting experience goals and two solutions. The proposed experience goals include challenge, competence and fellowship, which lead the team towards the proposed solution in applying these experiences to both an easily applicable solution and a radical concept. The team iteratively developed two concepts in which they approached the experience goals from different perspectives. 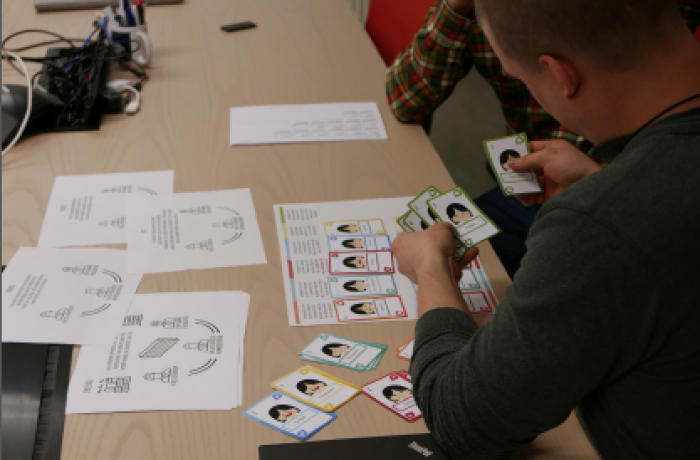 In developing the concepts they moved from sketching to paper prototyping to digital and back again. After each iteration they evaluated the concepts with different users based on the experience goals. With on the user’s feedback and experience evaluations, they revised and refined their designs. They kept the experience goals in mind during the entire development and design phases of their process. The team’s applicable concept is called Drive Suite: Upgrading the Navigation and Linking the Community – it is an experiential redesign of the interface, navigation and Q&A features for the drives commissioning software used by field engineers. They created this concept to facilitate experiences focusing first on competence, then challenge and finally fellowship. 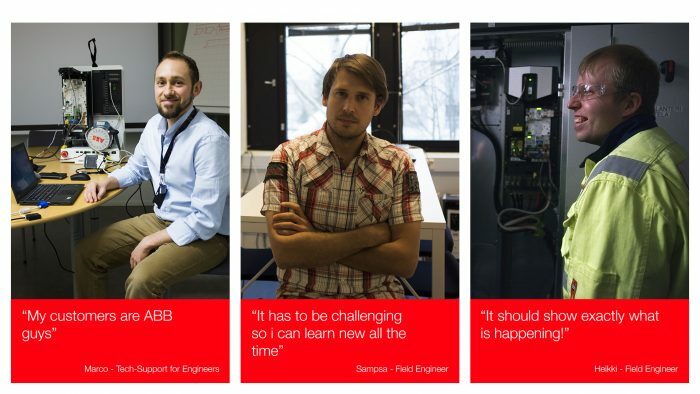 Their radical concept is called ABB Development Community: Connecting the Field and the Factory – this concept is a redesign of ABB’s development process. They created this concept experientially first focusing on fellowship, then challenge and finally competence. For this concept they thought that a redesign of the user engagement process could radically change the representation of user needs, wants and desires through developing a solution that facilitates a dialogue in the way user needs and requirements are implemented into the solutions that ABB offers. At the end of the project they went back to their experience goals and evaluated their concepts based on these goals. 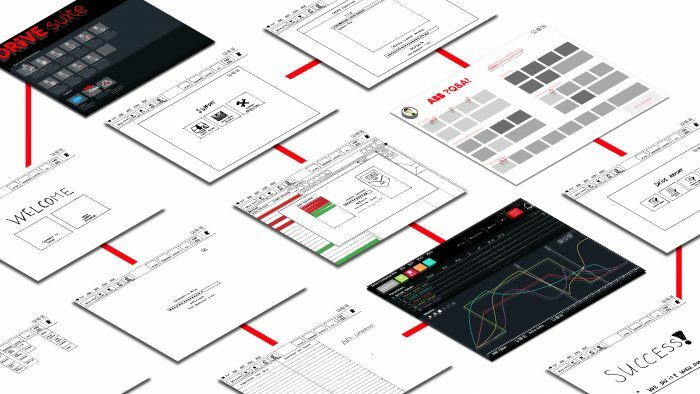 The team created two concepts, one easily implementable and another that would radically redefine the user’s representation in the solution development process; both of these concepts are manifestations of our experience goals in very different ways.